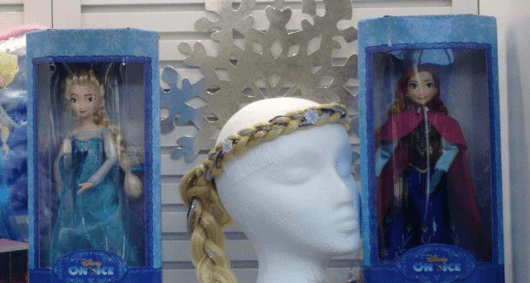 “Frozen” fans have a new, highly entertaining show to look forward to as the latest Disney On Ice performance begins its nationwide tour that stretches well into 2015. 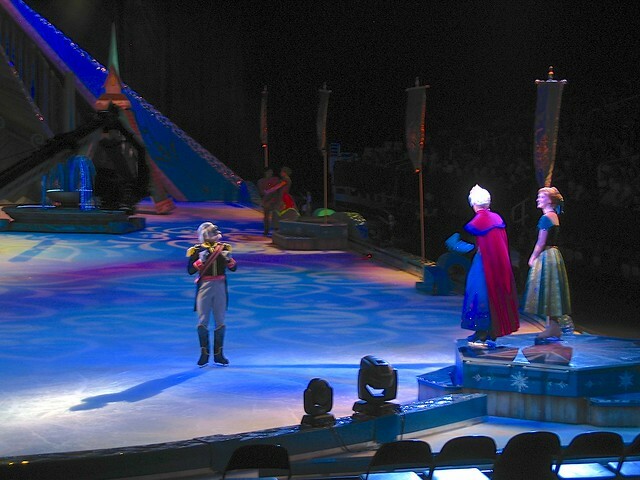 Tonight Disney On Ice – Frozen will make its official debut in Orlando, Florida, featuring Anna, Elsa, Kristoff, Sven, Olaf, Hans, and more familiar faces from the smash Disney hit movie. Last night, Feld Entertainment held its final dress rehearsal and sneak preview of the entire show, revealing it as a complete retelling of the film. Note: In the sneak preview performance featured here, we were limited to shooting with cell phones and consumer grade point-and-shoot cameras, also seated behind a large crane camera that is normally not part of the show. A warm-up skating routine kicks off Disney On Ice – Frozen, an unnecessary initial add-on to an otherwise excellent show. The warm-up is essentially a giant advertisement for the show’s sponsor – a yogurt company. Fans arriving 10 minutes late shouldn’t worry about missing anything. The real show begins and ends with a character cavalcade of Disney stars. There’s Mickey, Minnie, Goofy, Donald, Ariel, Buzz Lightyear, Rapunzel, and Snow White – just to name a few. 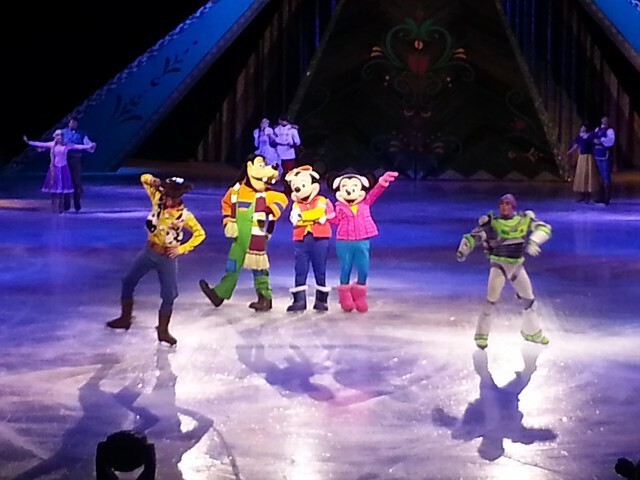 Disney On Ice likes to bookend their shows with this explosion of characters to really drive home the “Disney” factor. 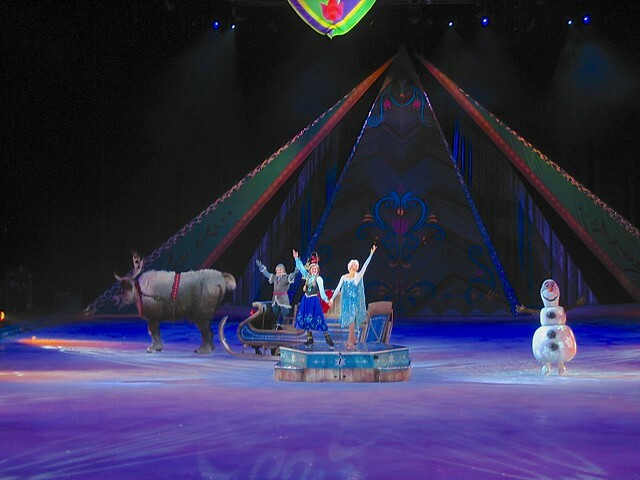 But the bulk of this 2-hour performance focuses completely on “Frozen.” Anyone who’s familiar with “Frozen” knows exactly what to look forward to with this Disney On Ice show. It reenacts almost every moment, scene by scene, with a few changes to make it make sense on ice. 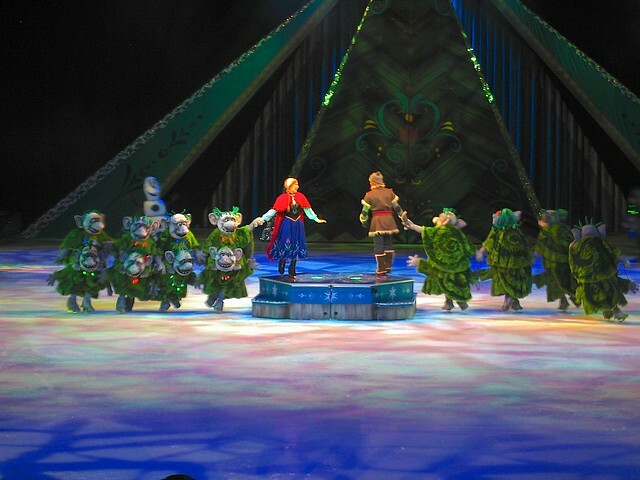 The Arendelle set goes through changes throughout the performance as some big props slide out onto the ice. But largely the focus is on the skaters, who nail the looks of the characters. 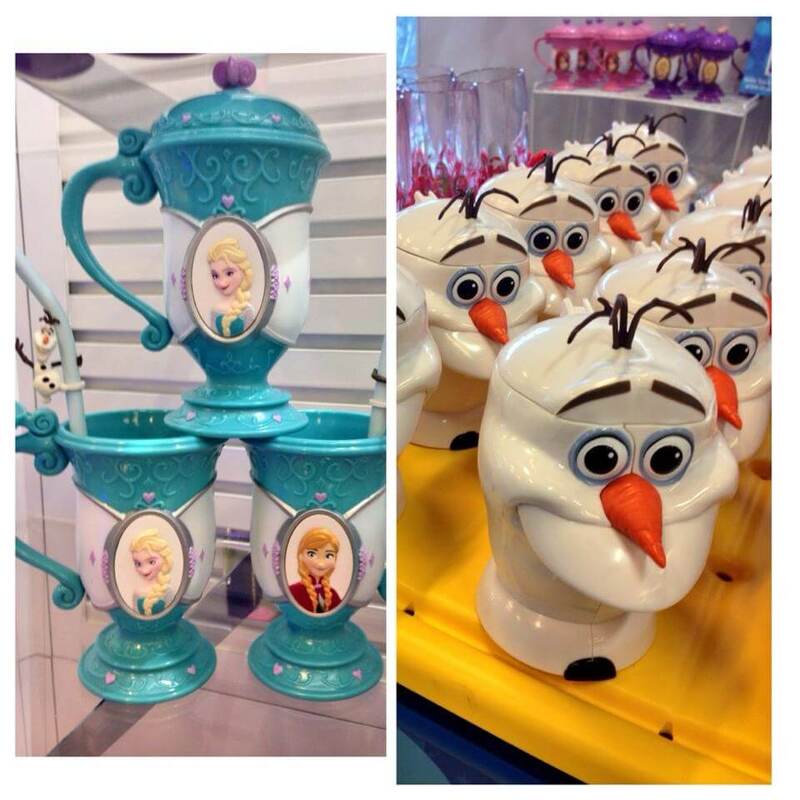 Naturally, the show stars Anna and Elsa along with Kristoff, all of whom have been seen in Disney’s theme parks before. 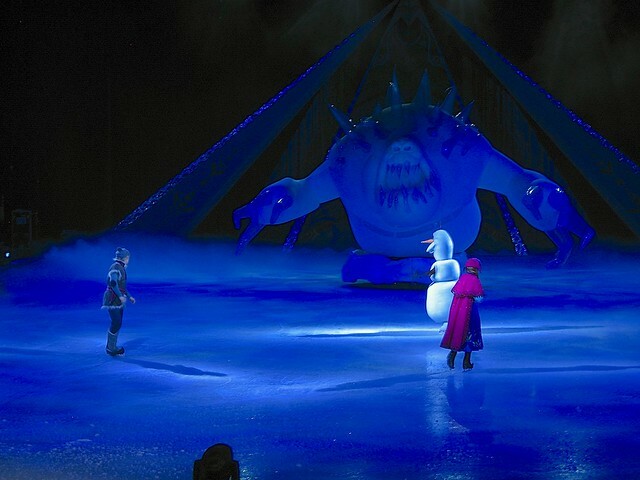 But Disney On Ice – Frozen also adds first ever character appearances by Hans, Olaf, Sven (adult and baby form! ), and even the Duke of Weselton. They all closely match their animated appearances, acting out scenes to the film’s actual dialogue while skating around, including jumps, twirls, and flips. 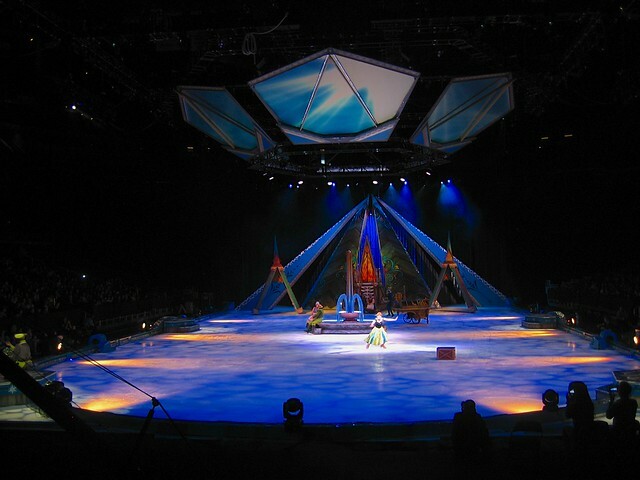 The scenes translate very well to being on ice, a careful balance between acting as a stage show and a skating performance. 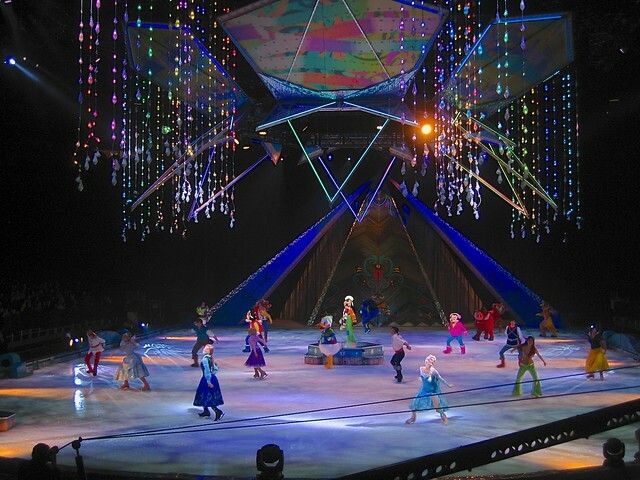 Fans clamoring for a “Frozen” Broadway show will easily find satisfaction in watching this Disney On Ice act, especially as all of the film’s most enjoyable moments are recreated live in the arena. 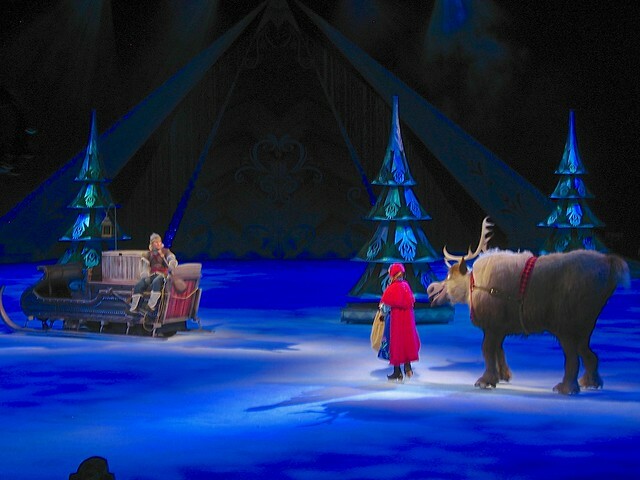 Kristoff and Sven share lovable reindeer moments while pyrotechnics explode as Elsa belts out “Let It Go,” much to the delight of every screaming little girl in the audience. Scary wolves chase Anna and Kristoff with their eyes glowing. Olaf dances to an elaborate “In Summer” routine featuring bee and flower dancers. Marshmallow (Elsa’s massive ice monster) makes an incredibly impressive appearance as a giant moving inflatable creature. And even the movie’s much maligned trolls become enjoyable with elaborate, well crafted costumes. In the end, every “Frozen” fan leaves thrilled by seeing all of their favorite film moments acted out in front of them with the added bonus of being featured in an ice skating spectacular. 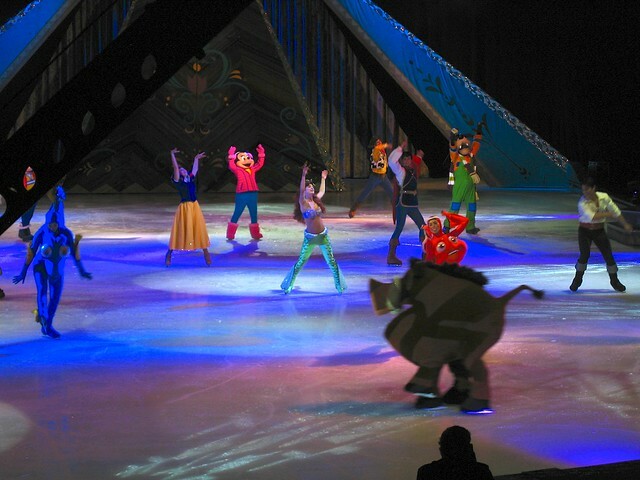 If this Disney On Ice show has a flaw, it’s that it’s a bit too long. It could be a tighter, more enjoyable performance by ditching the poor pre-show and the unnecessary added character bits at the beginning and end, instead focusing only on “Frozen.” But there’s no doubt this will be a smash success in every city it visits. And naturally, there is plenty of exclusive new “Frozen” merchandise to take home too, including dolls, mugs, and many other items. 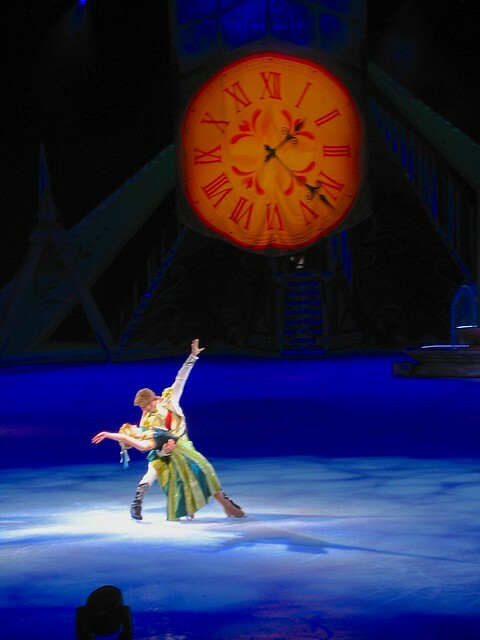 Tickets are on sale now for Disney On Ice – Frozen with performances stretching well into 2015. 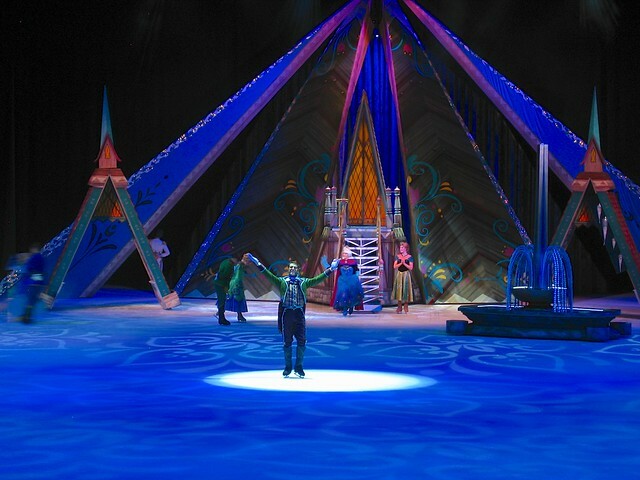 Visit DisneyOnIce.com for more information. I had to spoil it for myself. I’m too excited! It looks and sounds like the audio/character speaking parts were pre-recorded and not live? Do we know if that will be for all the shows? Uh, where have you been for the last 30 years? These shows always have prerecorded dialogue. That’s how it’s been since the 1980s. Have you never been to a Disney on Ice or other show like that? 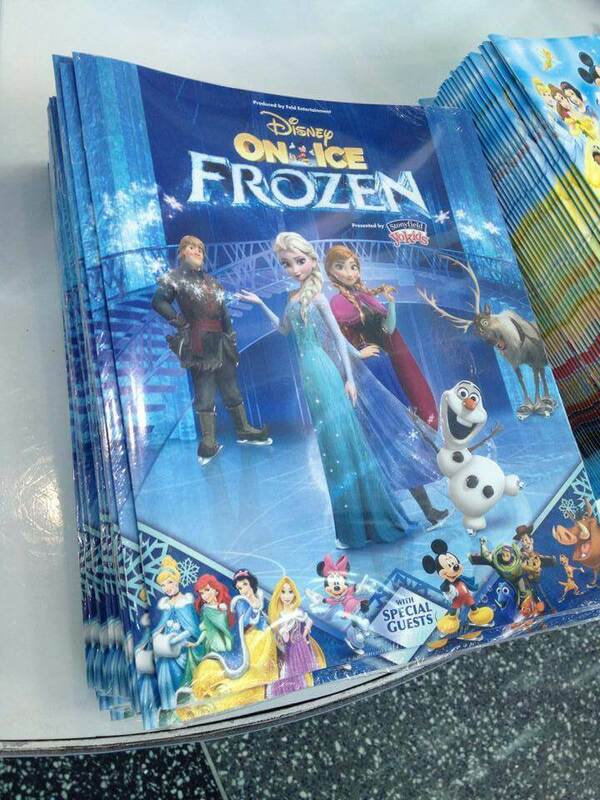 A lot of the hype seems to be treating it as “A Frozen show!…Now ON ICE!”, as if this was a brilliant new inspiration that suddenly lit up like a lightbulb at Disney in response to the success, so, no, I’m guessing a lot of the Frozies excited about this show -haven’t- seen one before. Hello , wanted to know if going lancer disney on ice – Frozen on DVD. This is especially a problem in puppies, but can be a worry with older dogs too. It’s also important to become consistent with training itself. Some could have health related problems, others may fear being abandoned again.